Born in Omaha, Nebraska JoJo was bound to be a star from the very beginning. As a child, she loved to dance, sing and wear her signature BOW’s! Her mom, Jessalynn Siwa, and JoJo moved to California as JoJo grew in popularity. 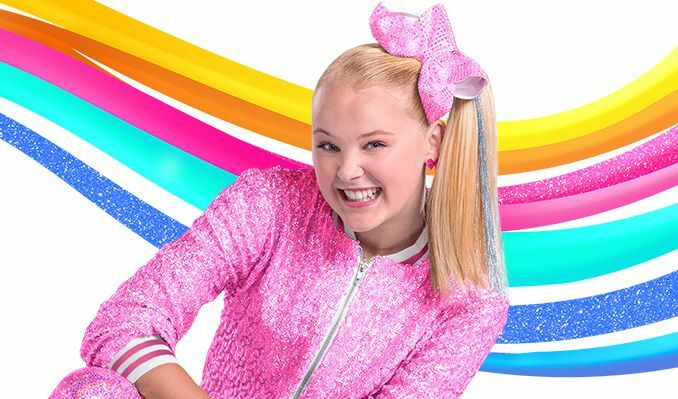 She joined the Nickelodeon family and most recent adventure will be an animated series called “The JoJo and BowBow Show Show”. Her signature bows are known globally and represent her fans called the “Siwanatorz”. She has released five songs and loves being in the recording studio. Her parents Tom and Jessalynn, and her brother Jayden are her biggest supporters. Family and her fans mean everything to JoJo! Sign up for her Siwanatorz email club and follow JoJo and her family on all social media to learn about upcoming news/events and what her next greatest adventure will be!